Looking for a country home, look no further. 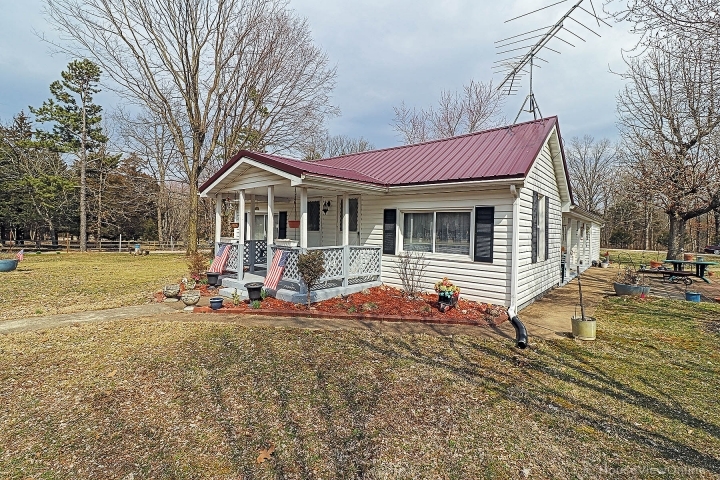 This 3 bedroom, 1600+ square foot home sits on 7.18 acres more or less with an outbuilding & chicken house. The home has an eat in kitchen and the family room could be concerted to a separate dining room if that fits your needs. Currently the home is set up with a large living room & family room. The home has a very large master bedroom, with spacious walk in closet. Country living at it's best, plant a garden, raise chicken and more. You will enjoy the spacious covered porches to spend time with family or friends.